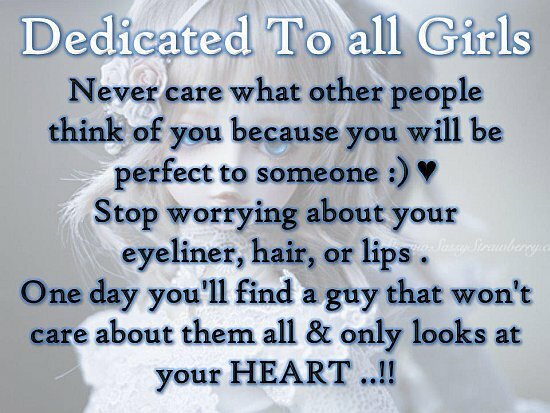 Dedicated to all girls: never care what other people think of you because you will be perfect to someone. Stop worrying about your eyeliner, hair or lips. One day you will find a guy that will not care about them all and only looks at your heart.